This past week the International Monetary Fund released an alarming report and statement on slowing global growth. The IMF said that this is real, and it will have a potentially significant impact on the world and U.S. stock markets. In particular they sounded alarm bells about an abrupt change in investor sentiment that could lead to a “sudden reversal,” making volatility go from bad to worse. It is a stark reminder that gains the market gives it can just as easily (and far quicker) take away and then some. Now is the time to make a choice to defend your hard-won retirement assets and accounts with IRA-approved precious metals. Reality is that gold makes sense in an IRA because it has stood the test of time and carried people for thousands of years through geopolitical chaos and economic upheavals. 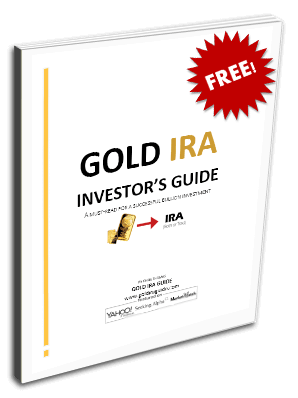 Consider the Gold IRA pros and cons now while you still can get the yellow metal at a bargain price (compared to severely over-inflated equities valuations). You are already witnessing this in both the wild volatility swings and large hundreds of point declines in markets on an increasingly regular basis now. Now the crucial major economies of the first world are also starting to show signs of economic weakness as well. While the IMF holds to its yearly growth forecast of 2017's 3.7 percent for the coming 2018-2019 years, they are busily reducing the critical outlook on growth for many of the significant national economies around the globe. For both the U.S. and China, this is a function of the trade war and tariff retaliatory actions of which no one can hope to predict for how long they will continue. China's growth the IMF sees diminishing from 6.9 percent in 2017 to 6.6 percent for 2018 and 6.2 percent for year 2019. The fund blames this squarely on the unfolding trade war between America and China. Even developing and emerging markets look grimmer going forward. Between country-specific factors, geopolitical tensions, tightening financial environments, and rising oil prices, the IMF sees decline in growth being widespread and across the countries in this sector. Summers is less concerned about rising inflation if the Fed were to back off on its promised rate increases. He feels that the below-traditional interest rates of the past decade will compensate for any inflation heating up too quickly. Time will tell if Jerome Powell and company or former Treasury Secretary Larry Summers is right. How Will This Likely Impact Global Markets? There are several ways that the slowing growth in overseas markets will impact U.S. equities' performance and prospects for the future. These higher interest rates that the Federal Reserve sets impact stock markets profoundly, according to the New York Stock Exchange's “What Drives Stock Prices” pamphlet. This is because higher rates of interest will cause the cost of borrowing money to become more expensive. It means that firms are forced to reduce spending on investment or to let workers go. Since the companies can no longer borrow freely as in the past, it reduces their capability to source sufficient capital to invest in growing corporate earnings. In the end, corporate earnings drive stocks, both higher and lower. Another way that the world can sneeze and the U.S. catch a cold is from foreign markets. Inc. magazine describes this in its “Riding the Economic Roller Coaster” article. As other countries' economies start to decline, U.S. firms will not be able to move as many of their products to the international markets as in the past. It leads to a significant decline in revenues. This often translates into a crash (or at least significant pullback) in U.S. stocks and markets. Besides this, international stock exchanges' fortunes do impact the U.S. exchanges and financial markets. When the global markets begin to sharply decline, it leads to an international ripple effect in which U.S. investors flee to traditional safe havens like Treasuries. This directly correlates to declining U.S. stocks. It does not take much to tank stock markets. As past history has painfully taught us, even a misguided computer algorithm can lead to a sudden, panic-inducing flash crash. There is no good reason to sweat over what could easily happen to your stock (and corporate bond) portfolios on any given day. Gold is your beacon of hope in the dependable world of safe havens. You can now keep the yellow metal in IRS-approved top offshore storage locations for your IRA gold. Only do not wait until the markets are on fire and in free fall to get your portfolio effectively diversified into the world's best-proven precious metal safe haven of all time. Look into the top five gold coins for investors today.